For those of you who may not know, Ainz & Tulpe is one of my favourite places to buy skincare and cosmetics. I usually go to the Omotesando store, but they do have a smaller one in Shibuya as well. You can find all kinds of beauty products here from both Japanese and Western brands, including Shiseido skincare, SK-II, Kosé, Kate, Maybelline, Revlon, La Roche-Posay, and so much more. They stock certain perfumes, and occasionally also brands like Helena Rubinstein, and I’ve also seen certain shades of MAC lipstick and a few Body Shop products too. It sometimes feels a bit like a lucky dip as these change around and it depends what’s in store on the day you go. It used to be where I went for Bourjois products but the entire section was gone yesterday. I don’t know if they have stopped selling it, or if they will bring it back, but I was very sad and disappointed. They also have a point card that is worth getting if you are a makeup addict – I definitely rack up the points on mine. 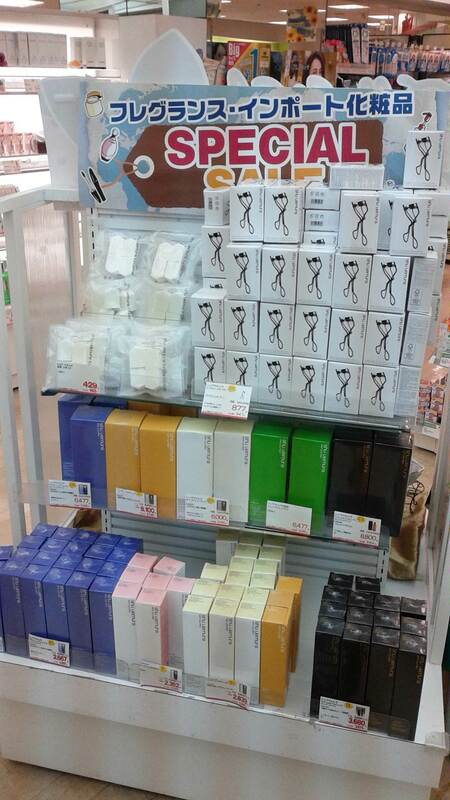 This is also where I go to buy my Shu Uemura cleansing oil for a lot cheaper than you can find at a department store. A big bottle of Ultime8 costs roughly ¥12,000 at Takashimaya, but only around ¥8,000 at A&T. Is that a bargain or what? They also had Shu Uemura eyelash curlers for around ¥800, down from the usual retail price of ¥1,200 at the counter or at Donki. At that price you can stock up and send them to your gorgeous friends abroad in a birthday swap and be adored forever and ever! I just wanted to get this very quick post out today to let any beauty junkies around Tokyo know about the awesome sale on at Ainz & Tulpe right now. And if it has ended by the time you get there, they do have offers on at different times as well, so it’s a store worth keeping an eye on. It may or may not be useful, depending on your level of Japanese – but Google Chrome’s translate button might come in useful. Happy shopping beautiful people! If you are in Japan and pop in to buy something, I’d love to see photos! Please tweet them to me at @vanessaikou. I have to bookmark this post for my next Tokyo trip 🙂 Not that it’s going to happen any time soon, but you never know 🙂 Thanks for sharing lovely! Gotta love those beauty products!